Životní tragédie se bohužel nevyhýbají nikomu. Dennì se s nimi setkáváme na plátnech kin a doufáme, že nìco podobného se nám vyhne velkým obloukem. Ne vždy jsem však schopni zabránit tìmto událostem. Ubìhlo již nìkolik hodin od oficiálního oznámení, které poskytl Zack Snyder. 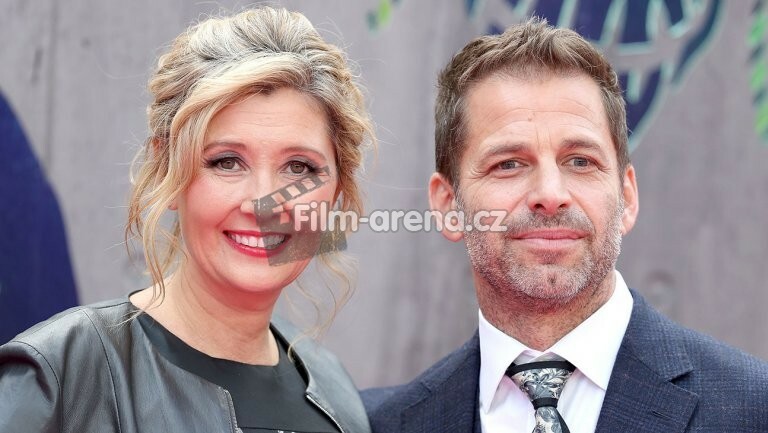 Ve svìtle tragických událostí, které zasáhli jeho rodinu, konèí s úèastí na Justice League. Jeho náhradou se stal Joss Whedon, který nedávno pøešel od studia MARVEL k DC. Pùvodnì byl oznámen jako hlavní èlánek pro pøipravovaný snímek BATGIRL. Whedon bude dohlížet na další fotografie, které již byly naplánovány, a dotáhne tak film až do konce jeho postprodukce. Snyder a Whedon mají silný vztah a Whedon má v úmyslu dodržet Snyderovu vizi filmu. Prozatím není oznámeno žádné zpoždìní a film by tedy mìl stihnou pùvodní datum premiéry. Ta je stanovena na 17. listopadu letošního roku. Unfortunately, life tragedies are not avoidable. We see them every day on cinema screens, and we hope that something like that avoids us with a big arc. But we can not always prevent these events. It's already several hours since the official announcement from Zack Snyder was made. In light of the tragic events that hit his family, he leaves project Justice League. In May of this year his daughter Autumn committed suicide at the age of 20. Her death was kept private, and only a narrow circle of people knew what had happened. The film was given a two-week break to make Snyder deal with the immediate effects of the tragedy. Snyder himself said, "I’ve decided to take a step back from the movie to be with my family, be with my kids, who really need me. They are all having a hard time. I’m having a hard time. In the end, it's just a movie. It's a great movie. But it's just a movie." His replacement is Joss Whedon, who recently switched from MARVEL to DC. Originally he was announced as the main author for the upcoming BATGIRL. Whedon will keep an eye on the other shoots that have already been planned, bringing the film to the end of its post-production. Snyder and Whedon have a strong relationship and Whedon intends to keep Snyder's vision of the film. So far, no delay has been reported and the film should therefore have the original premiere date. That is set for November 17th of this year.